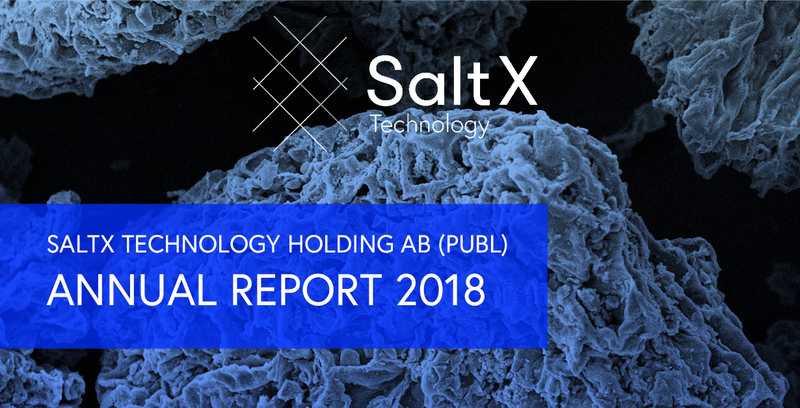 Today, SaltX Technology Holding AB (publ) publishes its annual report (in Swedish) describing 2018 operations and can be downloaded at www.saltxtechnology.com under the Investor tab. SaltX Technology develops and sells patented energy storage technology, which is marketed under the brand SaltX™. Customers consist mainly of major global OEM partners such as Alfa Laval, Mobile Climate Control and Rheem. SaltX Technology's stock is listed on Nasdaq Stockholm First North. FNCA Sweden AB, +46-8-528 00 399, info@fnca.se, is SaltX Technology’s Certified Adviser. For more information, visit www.saltxtechnology.com.